MK David Bitan says he supports granting a pardon to former Prime Minister who is in jail for corruption. Coalition chairman MK David Bitan (Likud) on Sunday said he supports granting a pardon to former Prime Minister Ehud Olmert. "I know Olmert personally, and I think that now that he’s sat in jail for a relatively significant period, the time has come to release him," Bitan said at the Limmud FSU conference in London attended by 700 young Jews. Olmert, who is currently serving a 27-month prison sentence for corruption, last week requested a pardon from President Reuven Rivlin. Rivlin’s office confirmed that a pardon request had been received from Olmert and that it would be sent to the Justice Ministry for consideration, as are all pardon requests. Olmert previously submitted an application to the Prison Service asking for a reduction of his sentence. The former Prime Minister, who stepped down in 2008 after police investigators recommended that he be indicted in multiple corruption scandals, was also sentenced to prison after being convicted for accepting cash-filled envelopes from American-Jewish businessman Morris Talansky. 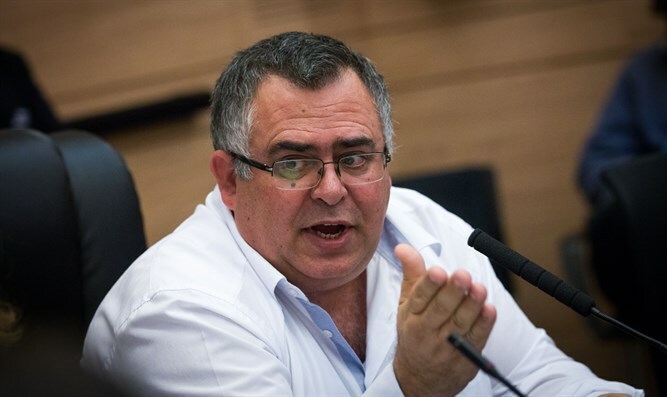 Bitan’s comments came following reports on Friday that Olmert was punished and deprived of visits for a month after he criticized the conduct of the Prison Service. The incident began when a prisoner confronted a prison guard, following which Olmert stood up for the prisoner and criticized the Prison Service. During the incident, according to reports, Olmert spoke inappropriately, was taken to a disciplinary hearing and subsequently deprived of the right to family visits for a month. The reports indicated that the incident may negatively affect Olmert’s chances of being granted a pardon.